Click here right now and click "Join" to get started! If you don't already have a Swagbucks account, you'll be able to quickly sign up; PLUS, if you earn 300 SB before the first of next month, you'll get a bonus 300 SB! Disclosure: Links in this post contain my affiliate information for actions such as sign ups, purchases, etc. 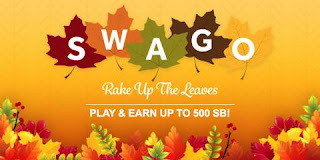 I am a long time user of Swagbucks.